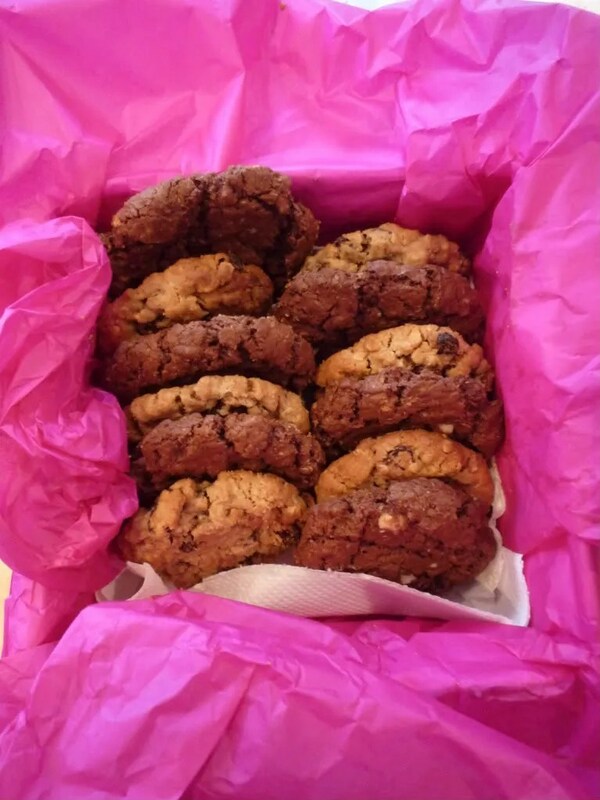 So last weekend we got new neighbours 😀 And DH and I decided to welcome them by baking cookies. 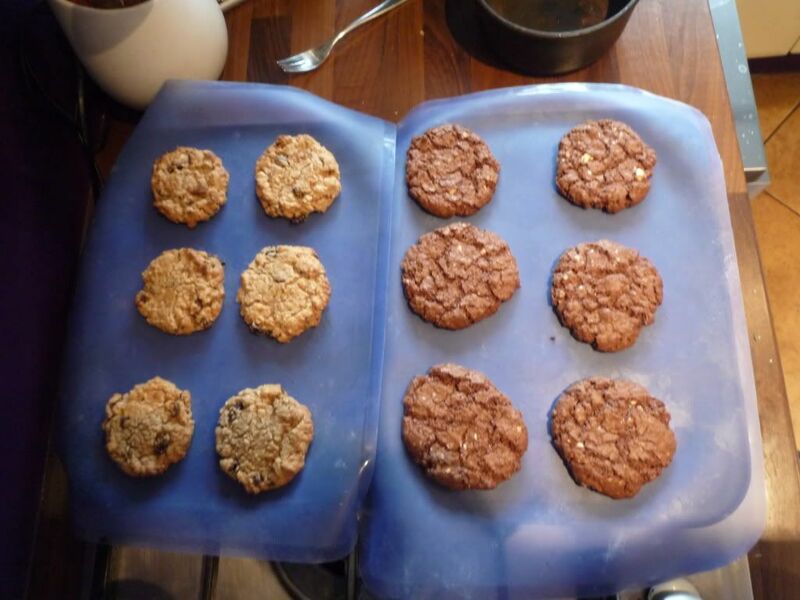 We made our regular recipe for peanut and raisin cookies, but then decided it’d be nice to have a mix so changed the recipe a bit to make double chocolate ones too. Yum! And here’s how we made them…. Here’s our trusty cookie recipe (with flavour options)…. 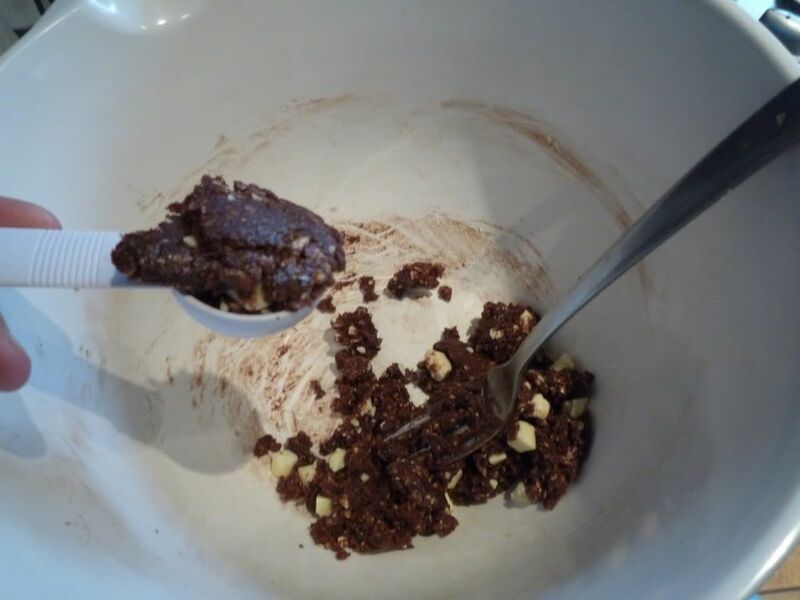 Beat butter, peanut butter/chocolate, castor and muscovado sugars together in a bowl until soft. Beat in the egg and vanilla essence. Sift the flour and baking powder and blend in well. Finally add the oats and whatever other bits you want and mix it all in. 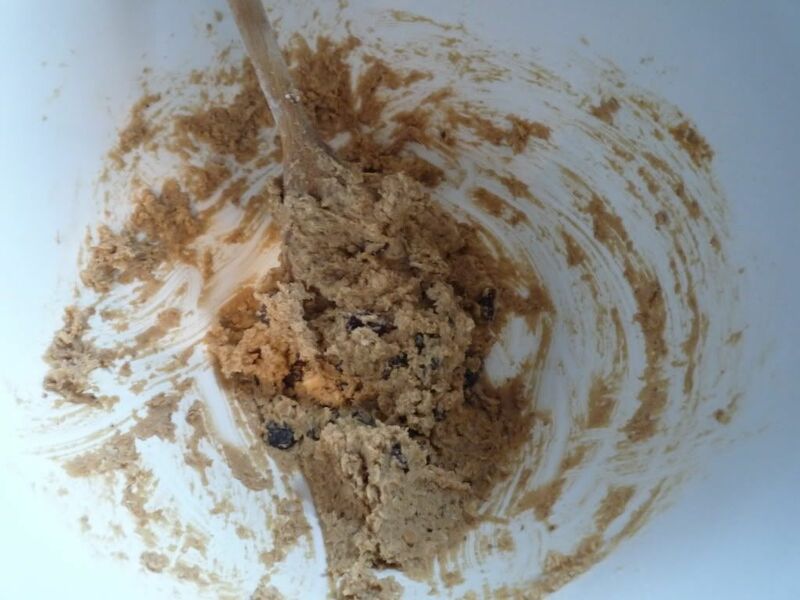 For these everyday sweet and yummy cookies, we used 4oz of Crunchy Peanut Butter and added raisins to the mixture at the end. 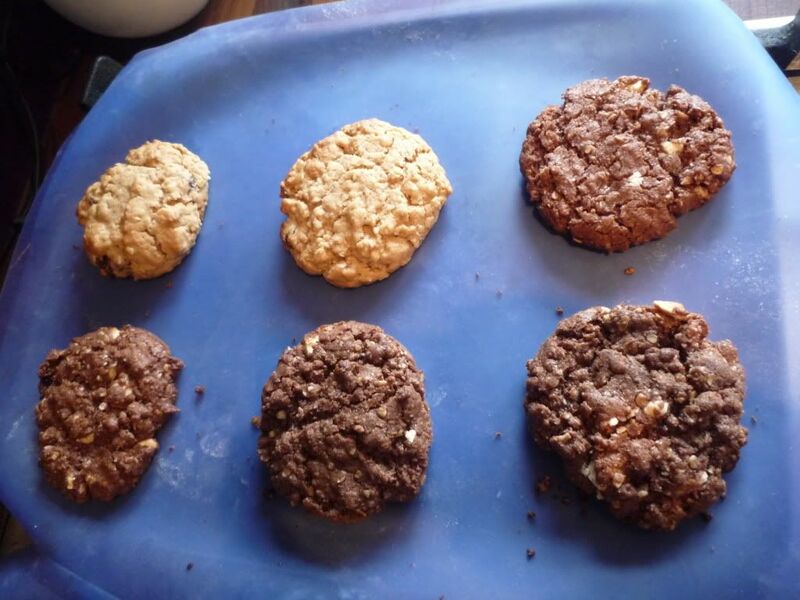 For these wonderfully rich grown up tasting cookies, we used 4oz melted Dark Chocolate and roughly chopped up a bar of white chocolate to add chunks to it. This entry was posted in Kitchen, Sweet Things and tagged chocolate, cookies, double chocolate, peanut, raisin. Bookmark the permalink.